Maps have always been one of my favorite things, whether coloring in a map for school; drawing a map for directions (a side note here, if I drew it, don’t trust it); following a map, whatever the reason to have a map, it must be a good one. 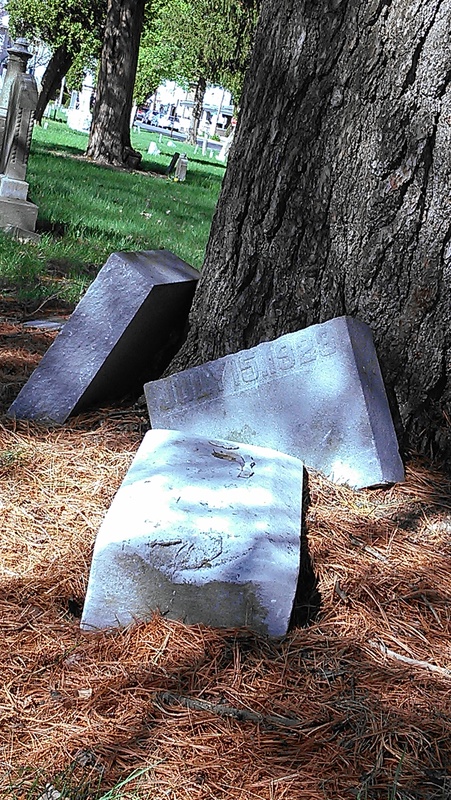 Our first order of business was sleuthing through a local cemetery to find some relatives. We thought we had some good information, turns out, it wasn’t that good. We could have used a map. The cemetery was in Sunbury, PA, originally founded in the early 1700’s. Most of the headstones were worn by the weather, so impossible to read. It is always interesting for those of us who grew up in the west to come east where everything is older. Our states and landscapes had been viewed by just a few when whole generations were being buried in the east. We were successful in only finding a single headstone that was on our list, and that was with the help of the internet. Amazing how a new technology can link us to something almost 300 years old. By the time we had stopped exploring the plots, we had come upon dinner time. A local suggested the Hotel Edison. Right there in Sunbury is a shrine to Thomas Edison, the first commercial building in which he wired his new-fangled light bulbs in 1877. There were many other items in the hotel that he had invented, it was quite the history lesson. It wasn’t quite dark, so we added a “speed tour” to our list of topics for the day. The Rand-McNally map has three items listed in pink in our area today (we assume these are places of interest), so we set out to see the pink dots around Sunbury. First stop, Fort Augusta. An outpost of the British to protect the colonies during the French-Indian war…yes, that is before the American Revolution. They’ve built a small scale version of the Fort on the property where the original Fort stood. Next, the Jacob Priestly House, across the river from Fort Augusta, this is the home of a leading nineteenth century scientist. The man who discovered oxygen and many other things, including the concept of photosynthesis. It is said that Priestly’s thought process was so out of wack and controversial, that he was run out of England. Last pink spot for the day was the Susquehanna University campus, a quaint little campus near the Susquehanna River that was founded in the mid 1800’s. Beautiful place, but with tuition and room and board at over $50K a year, I doubt I will know anyone who attends. I really enjoy speed touring, it is a combination of sleuthing, speeding and hanging out with the people I enjoy the most. We may not get the full experience, but it is always a good time. 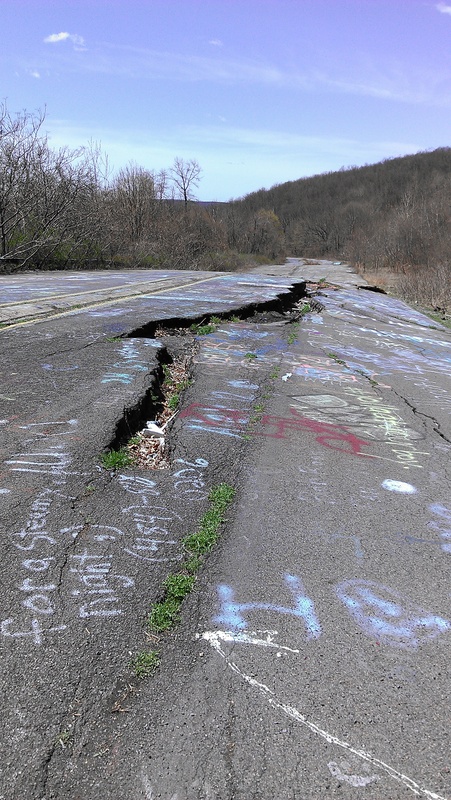 In 1962, the small town of Centralia, Pennsylvania began to burn. It still does to this day. 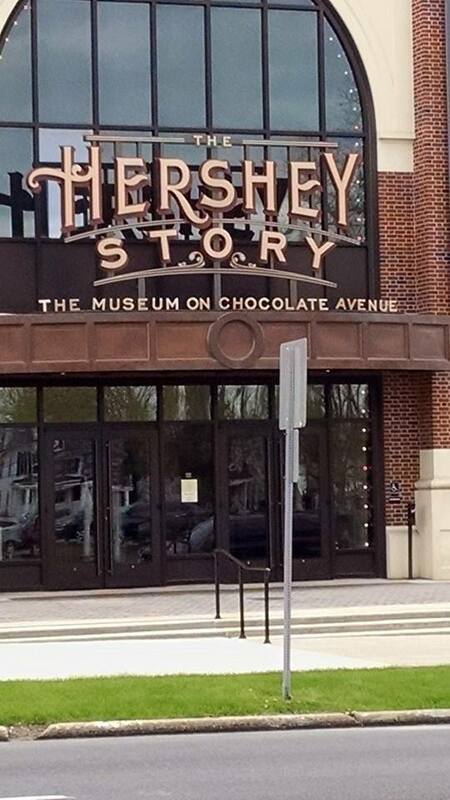 This area of Pennsylvania is known for its’ coal production, and that coal lies under the surface of the ground. A fire lit to burn garbage, lit the coal on fire, there has been no way to extinguish it. Some roads have crumbled, but for the most part, the government came in and bought out the residents of the town to relocate them. Most left gladly, there are still about 10 residents who stayed. The rest of the town is abandoned. The homes have been razed, there is a section of highway that has been detoured, but the streets and sidewalks remain, if you hadn’t heard why the town was gone, it would look like an alien plot. If given the chance, find the highway that has been detoured, it is covered with graffiti and has an otherworldly feel.